280213. News. Photo:Emma Allen/Marlborough Express. Apple picking season is in full swing. 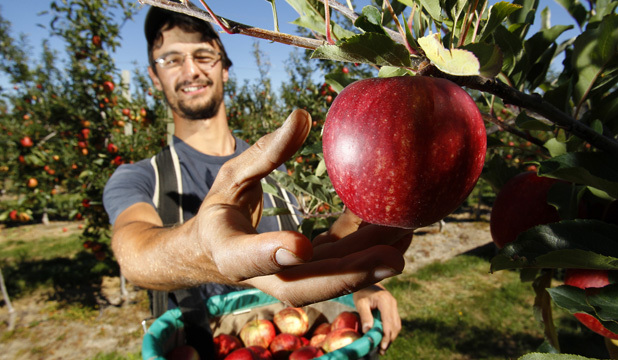 Cyrille Dumont from northern France picks royal gala apples on Kevin Murphy’s orchard.